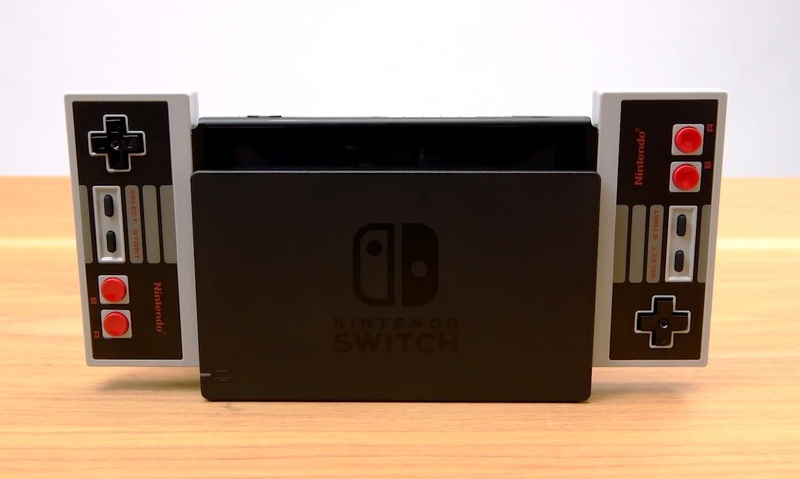 The news that Nintendo would be adding NES games to the Switch as part of its paid online service had a mixed reception, but the company has made up for this controversial decision by releasing wireless NES controllers to play those games with. At $60 they’re a bit steep, but come on. You know you’re going to buy them eventually. Probably next week. The controllers were revealed during the latest Nintendo Direct video news dump, alongside a host of other nostalgia bombs, like a new Animal Crossing and about a million Final Fantasy ports. But first the details of those sweet, sweet controllers. They’re definitely NES-style down to the buttons, meaning they aren’t going to replace your existing Switch Joy-Cons. There’s no force feedback, no shoulder buttons, no gyros. So why do they cost so much? Because Nintendo. At least they’re wireless and they charge up by slotting onto the Switch’s sides like Joy-Cons. You’ll be able to pre-order a two-pack starting on the 18th for $60, which also happens to be the launch date for Nintendo Switch Online. Yeah, it’s time to fork out for that online play Nintendo has generously given away for so long. Fortunately, as you may remember from previous announcements, the cost is pretty low. $20 per year, and it gets you online game access and a growing library of NES classics. 10 of those games were confirmed before, but 10 more were added to the list today. The service will also enable cloud backups of saves and possible special deals down the line. It sounds like it’s basically a must-have, although plenty of people are angry that their virtual console games have been essentially stolen back from them. At least we have the NES and SNES Classic Editions.